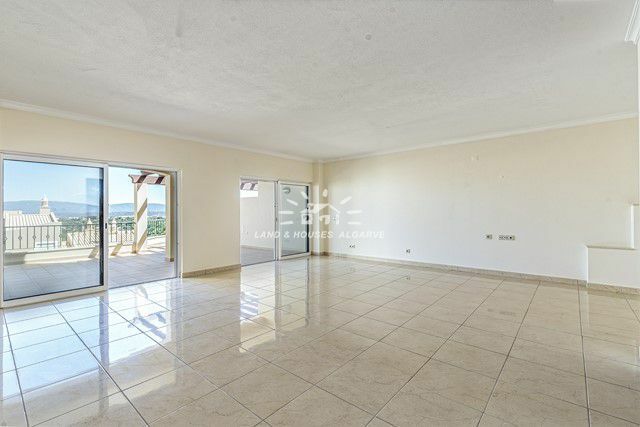 This beautiful 3-bedroom penthouse apartment with large private roof terrace is situated in a premium resort high above the coast between the fishing village of Ferragudo and the bustling holiday resort of Carvoeiro. 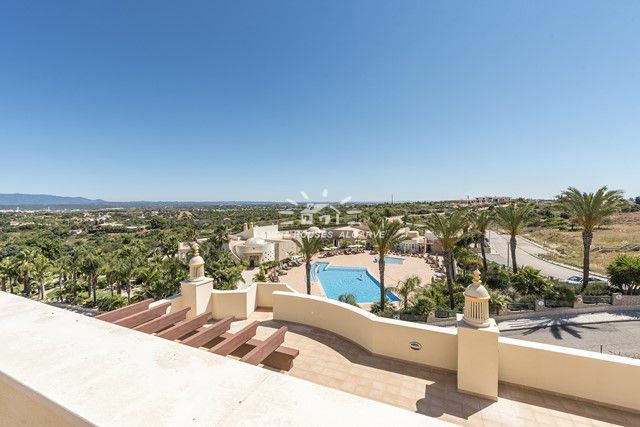 The beautiful shared gardens look out to the coast and across to the mountains of Monchique, there is a lovely shared swimming pool and childrens pool, free tennis courts, a boules area, a poolside bar for food and drinks (seasonal) and a brand new South American themed restaurant. 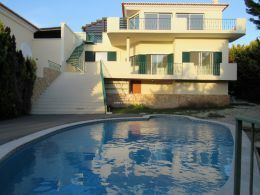 An ideal place to relax whether your preference is for a summer beach holiday or a golf or walking holiday out of season or for permanent residence. 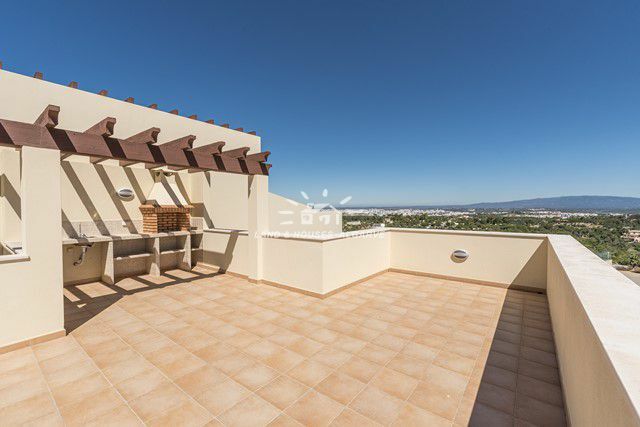 The apartment over 2 floors with 3 large bedrooms and 3 bathrooms is equipped to a high standard, has several front balconies and an 83 m2 large roof terrace with incredible panoramic views allowing you to gaze out at the Algarve coastline and the Monchique Mountains. For the summer, the choice of terraces offers natural shade. For your winter comfort the apartment has underfloor heating in all rooms. 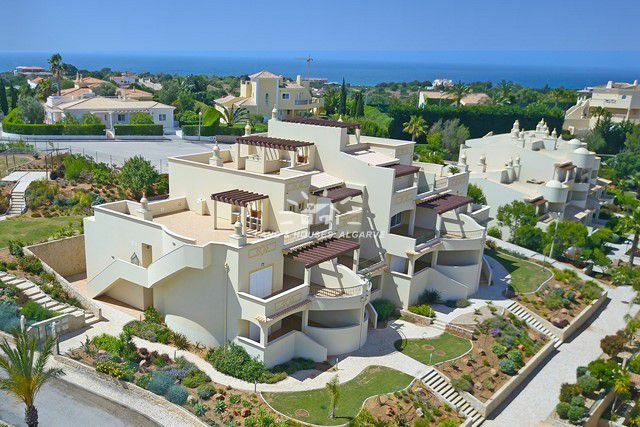 Bordered by multi million Euro villas the resort community consists of a mixture of 1, 2 and 3-bedroom high specification apartments. 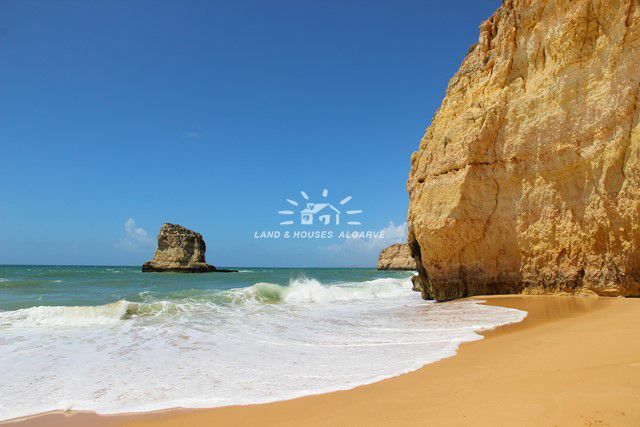 There are plenty of activities in the area including sailing, windsurfing, horse riding, local walks, birdwatching, water parks, exceptional golf courses, bars, restaurants, local fishing villages and of course the local beaches. 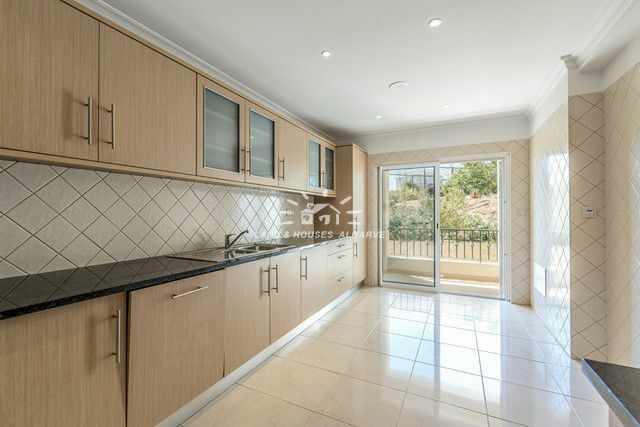 The property is equipped with underfloor heating throughout, pre-installation for air conditioning units, an alarm system, heated towel rails, double glazed with mosquito nets, partly electric shutters, central sound system & more.